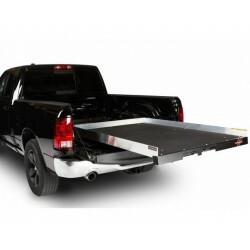 Use our cargo slides in the bed of your truck for easy loading and unloading with sliding roller bed. Free Shipping on all orders! Let's face it, once you get over the 20 year old mark it's a lot harder to jump in and out of your truck. Maybe you're tired, lazy, out of shape, or just don't feel like doing such a thing. Don't worry, we're not judging, but the Cargo Ease Heritage truck bed cargo slide can help you out with that. 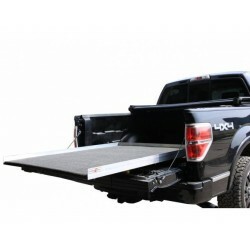 The Cargo Ease Heritage truck bed cargo slide comes fully assembled with detailed installation instructions. It is recommended that a buddy helps you out with the install because it is a heavy product and four hands are better than two. 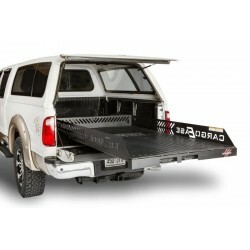 The Cargo Ease Heritage truck bed cargo slide comes fully assembled with detailed installation instructions. 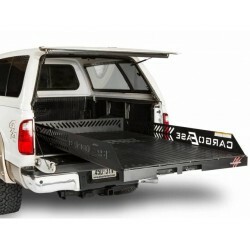 Cargo Ease Heritage truck bed cargo slide features a ¾ inch plywood deck that is covered with automotive grade carpet. Maybe you're an Olympic track star, a stay at home mom, or a retired grandpa. It doesn't matter, because no one like to get up in their truck bed to retrieve their cargo. 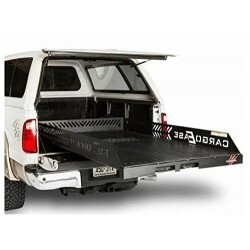 With the Cargo Ease Hybrid truck bed cargo slide all your problems will be put to rest. 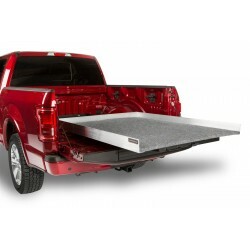 Cargo Ease Hybrid truck bed cargo slide features a ¾ inch plywood deck that is covered with a polyethylene coating. This durable retrieval cargo system can handle anything you throw at it. 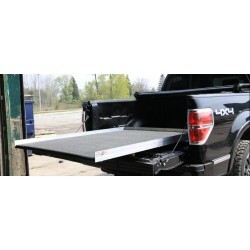 Cargo Ease Commercial truck bed cargo slides feature a ¾ inch plywood deck with ¼ inch rubber back on top of it. It can handle 1,500 pounds to 2,000 pounds of weight depending on the model. Cargo Ease Commercial truck bed cargo slides are heavy duty and perfect for any craftsman, carpenter, contractor, or anyone else in a similar profession. Any of those jobs are back breaking work, but when you have this cargo retrieval slide you'll have a lot less back ache and knee pain.